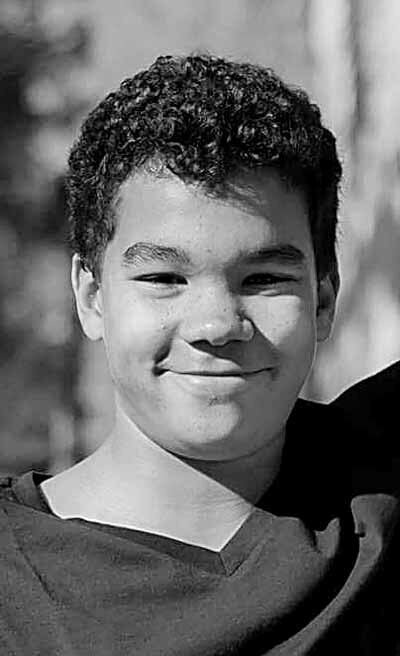 Kameron Javan Taylor, 14, of Williamstown, WV died Sunday, March 26, 2017. He was born in Richmond, VA. a son of Neal O. Taylor of Williamstown and the late Kimberly Pruitte. Kameron was a freshman at Williamstown High School and loved to play football, baseball, and track. In addition to his father he is survived by his stepmother Kristen Taylor; three brothers Donathan, Kendrick, and Devon; two sisters, Trinity and Henley; maternal grandmother Karla Pruitte; paternal grandparent Elaine and David Dennis and Danny Wheeler; step grandparents Glen and Jenifer Gaston; and several aunts and uncles. Services will be Saturday 2 p.m. at First Baptist Church in Williamstown. Visitation will be Saturday 12-2 p.m. at the church. Leavitt Funeral Home, Parkersburg, is assisting the family with arrangements. A GoFundMe account has been set up to help the family with expenses.